Perhaps when you think of going out hunting you only imagine those crisp, fall mornings with the sun shining and a cool breeze slowly passing through. Well, we all know that often times this is far from the reality and that Mother Nature can sometimes not cooperate in the most frustrating ways. However, this is not always bad news. If it is going to rain on the day that you are planning on heading out to hunt, don’t worry that your plan is ruined. In fact, there are some tactics out there to be used for turkey hunting in the rain that actually help you be more successful in your hunt. This will help you make the most of the inclement weather and might actually convert you into someone who only hunts turkeys in bad weather. Let’s take a look at some good practices and helpful techniques so that you can don’t have to worry about yourself the weather and so that you can go turkey hunting in the rain. How Does Rain Affect Turkeys? It is no secret that a rainstorm will cause turkeys to behave differently than they might normally. So, the trick is to try and learn how their behavior will change so that you can take advantage of the situation and increase your chances of roosting a turkey and then roasting it. Two main things that rain affects are: how long turkeys stay on the limb and gobbling. Let’s go into a little more detail. Those of us who have gone hunting before know that turkey hunting means waking up with or even before the sun. Turkeys traditionally come off the limb very early in the morning and head out in search of food. 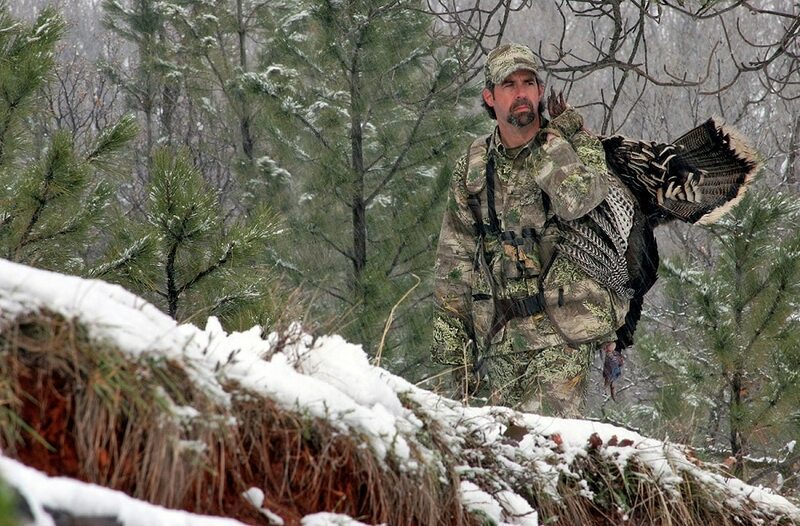 This is usually the best time to try and find and roost a turkey so that you can bring one home. However, if it is raining this is not necessarily the case and some adjustments can and should be made on your part. Basically, a steady rain first thing in the morning will keep the turkeys on the limb until later in the morning, perhaps as late as 8-8:30 a.m. This doesn’t mean that you can sleep in the whole morning and leisurely stroll out for your turkey hunt. You will still want to be up and at it early, but know that the turkeys will be a bit more relaxed in bad weather and that you should be patient for them to come out. One of the main things that rain and bad weather affect is how turkeys gobble. Knowing exactly how will help you know when is the right moment to be looking for a turkey and will also help you take better advantage of the situation to help have a more successful hunt. Basically, the weather will affect turkeys in different ways. Some of them will gobble more and louder while some will gobble less and more quietly. However, there is one rule of thumb that is helpful to know and that is: as pressure drops and humidity rises, gobbling will be significantly less. This is helpful to know because it means as the storm comes in and builds up, gobbling will be pretty much nonexistent, but as the storm dies down it will become more and more prevalent. There will be more on this in the next section. As we just started to say, the different parts of the storm will affect how the turkeys behave and this will affect how you should approach hunting a turkey in the rain. We are going to divide a storm into three sections, beginning, middle and end, and discuss how turkeys behave during each part and what this means to you as a hunter. Beginning of the storm. This is the part of the storm where the clouds roll in and the wind picks up. Some rain may appear, but in general, you know that the worst is still on its way. 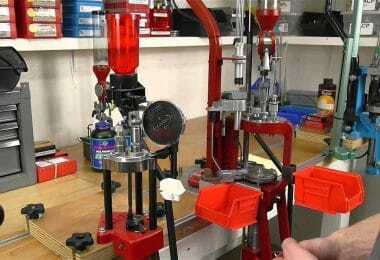 We mentioned earlier how this buildup in humidity and drop in pressure will kill gobbling. Well, this applies in general to turkeys’ behavior. They will most likely seek refuge and will be difficult to find. For this reason, it might be a good idea for you to sit out this part of the storm or to find yourself a nice place where you can take cover and wait for the turkeys to resume activity later on in the life of the storm. Bulk of the rain. After the storm has built up and began, you will enter that middle part where most of the rain falls. During this part of the storm, some turkeys can be found in open areas or in fields, but they are still going to be difficult to find. The sound of the rain and the wind will likely drown out any gobbling as well as your calls. Again, you might be able to have some luck during this part of the storm, but it is best to hold tight to try not to spook the turkeys and to wait for the next part of the storm. The storm is dying out. Just as you can sense when the rain gets lighter and the storm is letting up, so can turkeys. Animals of all sorts are typically much more active right after a rain storm and turkeys are no different. You don’t need to wait until the rain completely stops, but once you sense it has taken a turn, start calling and be alert. Gobbling will resume vigorously and an alert hunter should have some luck at this point. In general, the closer to the end of the storm you are, the better the hunting will be. Keep this in mind as we go through some more techniques so that you can put yourself in position for a successful hike. Now that we have a better idea of how turkeys behave when it is raining, let’s take a look at some of the things that you can do to put yourself in the best position to have a successful turkey hunt during a storm. These techniques range from where to look to what to wear and can all be very helpful in making your experience as good as you would like it to be. Both during and right after a rain storm, the best place to look for turkeys is in open fields, pastures, clearings, etc. This is because during the storm and after it is over most low lying branches and small trees are soaking wet and for a turkey to walk through them they would have to subject their wings to these surfaces, which could be damaging and painful. For this reason, hunting turkeys in the rain can sometimes almost be easier because if you can find a good field or pasture where they might be, all you need to do is disguise yourself or hide and wait for them to come. When they do finally wander into whichever field you’re monitoring, it will be a much easier target than trying to aim through trees or thick brush. To use a decoy or not? There is a lack of consensus as to the effectiveness of using decoys while hunting turkeys in the rain. However, there is a strong argument for using them and this is due largely to how the rain affects turkeys’ senses. Like most birds, turkeys rely heavily on their vision for detecting and avoiding danger. 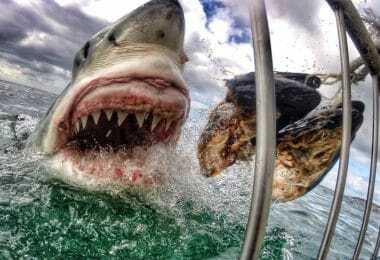 Their sense of smell and hearing are not as sharp. Because of this, a storm with even mild rain will seriously limit the turkey’s ability to smell and hear what is around it. Therefore, it will need to rely heavily on its vision to be able to navigate the surrounding area. For this reason, a decoy during a rain storm could be a great way to attract turkeys to wherever you are. The idea would be to set one up in a field a pasture like what we discussed in the previous section to help imitate what a turkey would expect to see. One key thing to remember is to make sure that the decoy is in such a position that allows you to shoot the turkey once it sees it. If the turkey can take a look at the decoy and you can’t get at it, there is a chance that it will figure out the trick and move on before you get a chance to take a shot. Turkeys don’t get spooked by rain as much as other animals such as deer do. That being said, because they do not have very keen hearing, they might not be able to hear too well over the noise of the rain. So if you are going to call or use a turkey caller, it is important that you do so with sufficient volume so that the turkeys can hear you. However, pay attention to what we talked about in previous sections. As the storm picks up and gets stronger, turkeys rarely gobble. So, hold off on your calling until the storm starts to die down so that you can do it a bit more naturally and increase your chances of the turkey hearing you and believing you. You can try to call during the storm, but as we mentioned earlier, the sound of the rain might drown you out. Turkeys, like all birds, are very sensitive and will be easily spooked by any unexpected or sudden movements. 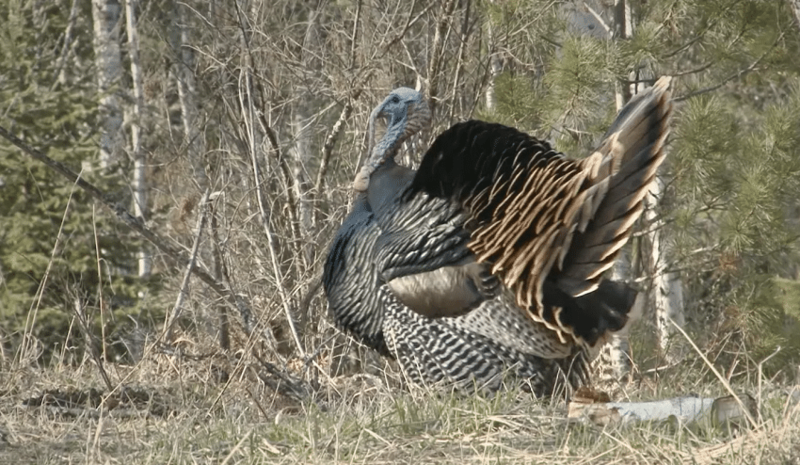 For this reason, when you are out turkey hunting it is important to remain calm and still and to try not to do anything to make the turkey jump and run off in the opposite direction. However, when it is raining you have a little more freedom to move around and it is important that you try and use this to your advantage. If you spot a turkey but do not think that you have a very good shot, you can sneak around using the wind and rain to muffle any noise you might be making so that you can get a good view of the turkey and increase your chances of a successful shot. They will still be able to see you so be sure to be sneaky, but you can be a little more active to help yourself be more successful. We mentioned that you might need to be a bit louder when you are calling during a rainstorm because of the effect the wind and rain can have on the turkey’s ability to hear you. This is very important, but it is also important that you adapt some different calling techniques to help you be more successful. In addition to being louder, it is a good idea to move around once you start calling. 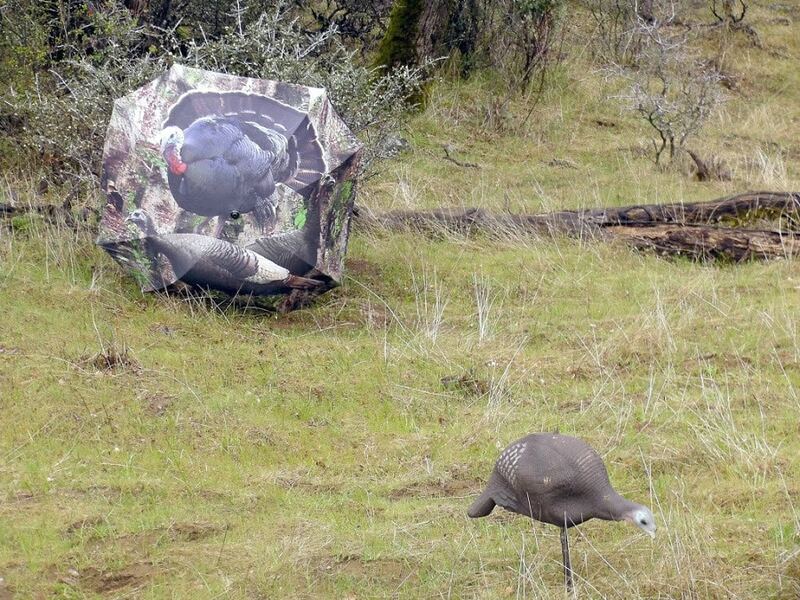 This goes against traditional thinking in turkey hunting because of how easily they can be spooked, but with the cover of the wind and rain you can change locations while you call to cover a larger area and increase the chances that the noise you are making is heard by a turkey. This is another example of how proper techniques can actually improve your chances of hinting a turkey while it’s raining over good weather. Just as the wind and rain will drown out sounds for the turkey, it will do the same to you. 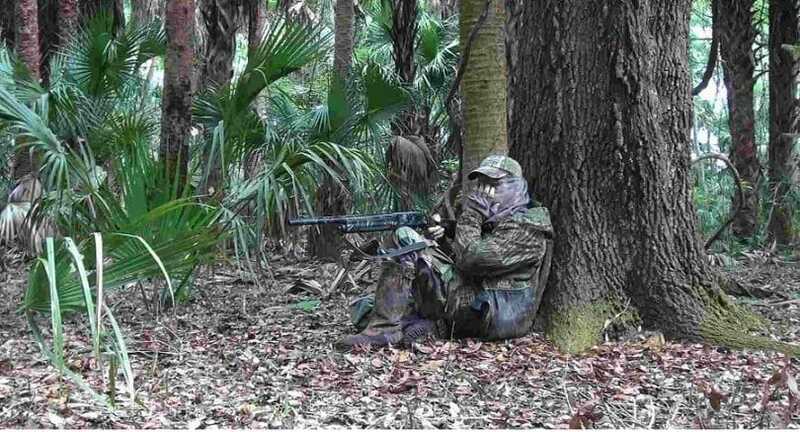 Turkeys will be better at concealing themselves and they will be able to move around without being heard and most likely without being seen. Because of this, it is important that you are completely alert and aware for any sound. If it is raining hard enough, you might have some turkeys right near you that you can’t hear or see because of the weather. Put yourself in a position that is both hidden, but that also gives you a good view of the area where you are expecting to see turkeys. This might be up on an elevated piece of land or if you are more flexible perhaps you could take refuge on a low-lying branch just off the pasture or field where you are hunting. Either way, you need to be extra alert as you hunt turkeys in the rain because they will be employing many of the tactics you are using to find them to try and hide from you. 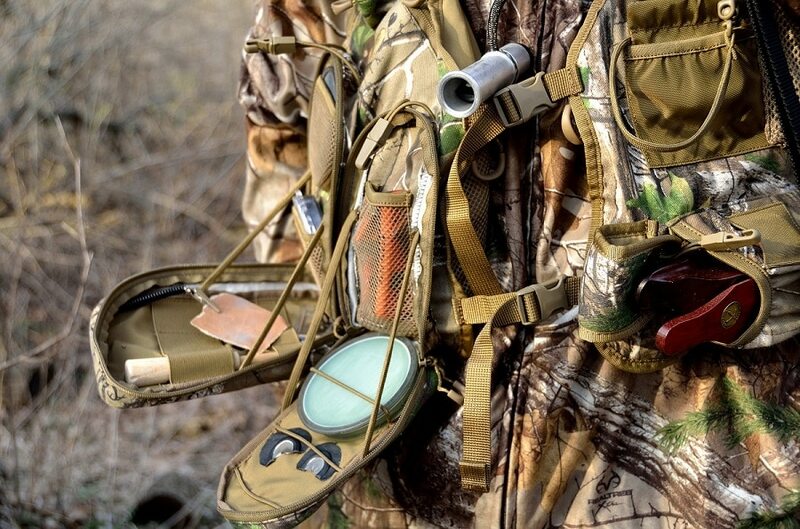 Now that we have talked about a few techniques that you can use to help you learn how to best hunt turkeys in the rain, let’s talk about some special equipment that might be nice to have when you are out there that will increase your chances of success and also make the experience significantly more enjoyable. This might sound somewhat obvious, but it is something that many of us might overlook when we head out to do some turkey hunting in the rain. Check to make sure that the turkey caller you are using is waterproof, or if you don’t have one yet it might be a good idea to pick one up. Hopefully, after this article, you will see the benefits of hunting turkeys in the rain and you will, therefore, want to have all the necessary equipment. If you don’t have a waterproof turkey caller and don’t feel like picking one up, take the one you have and place it inside one or two waterproof plastic bags. Having access to a turkey caller when you are out hunting will be a really important thing to have and you want to make sure you have all the necessary equipment to make you successful. 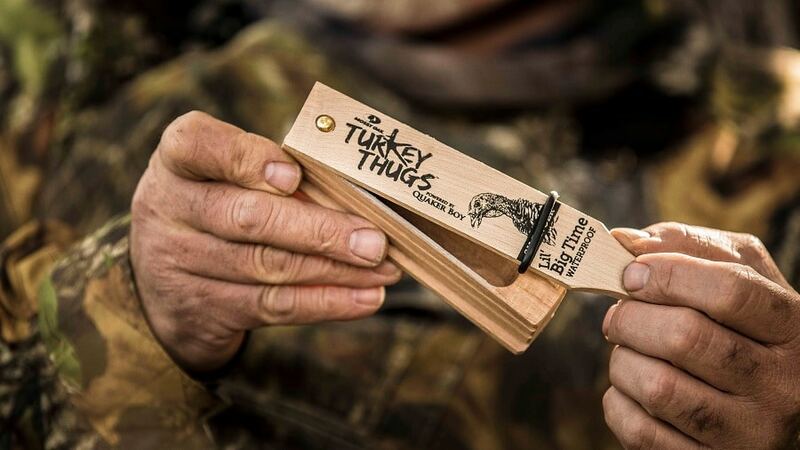 Why not check our list of the top turkey calls to help you. Much attention has been paid to how the turkeys behave in the rain and what the turkeys will do during a rain storm, but it is also important to consider how such conditions will affect you. If you do choose to go turkey hunting in the rain you need to be prepared to spend extended periods of time completely exposed to the conditions. Thick long underwear or many layers of light, wicking material. Once something gets wet it gets cold and that makes everything worse. Dry socks. It might not be a bad idea to bring a few pairs of dry socks with you. Should your feet get wet, the trip will end very quickly and you will be miserable at best and very sick at worst. Make sure to take care of yourself when you are out hunting turkeys in the rain otherwise all of these tips and techniques will not be very helpful and won’t do much to help you be a more successful hunter. Check out the list of the best hunting rain gear for reference, definitely a must-read. So now you know that to have a successful turkey hunt you do not need one of those sparkling warm spring or fall days. In fact, by employing some of the tactics discussed here, you may even find that you are more successful when hunting turkeys in the rain versus good weather and this will most likely make you like it more. The key thing to remember is that the change in weather causes a change in the way the turkeys behave. So, all you need to do is pay attention to these changes in behavior and learn how to take advantage of them so you can be more successful. We hope we have pointed you in this direction with this article. What do you do when you go turkey hunting in the rain? 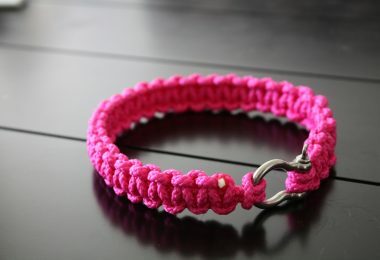 Which one of our tips or techniques seems or is most useful? We want to hear from you to learn what tips or techniques you can share with fellow hunters and also to know if you have had any success following the information we have laid out here. Send us your comments or question and join the discussion. So, the next time you decide to go out turkey hunting, don’t bother looking at the weather because you know, rain or shine, it’s turkey hunting time. 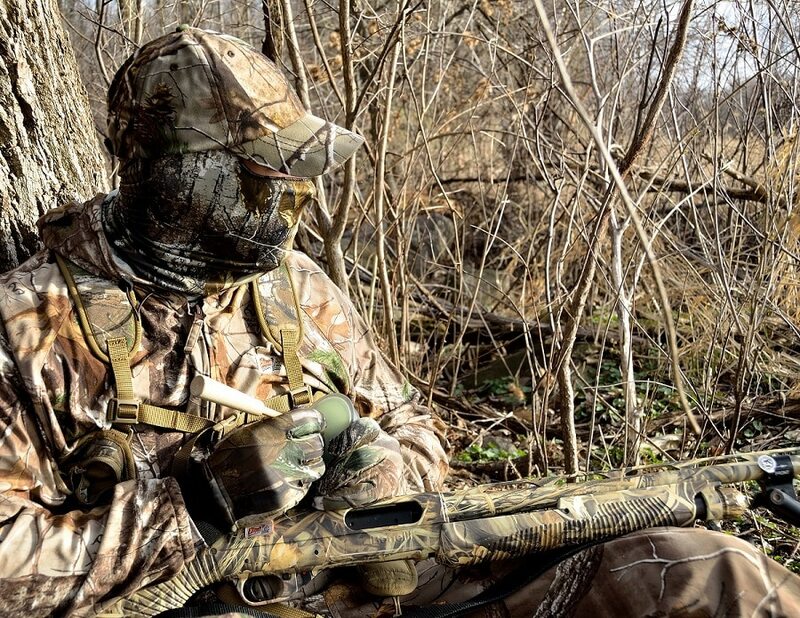 Before you head out to hunt, make sure you’ve read our guide on how to choose the top turkey hunting guns for your needs.